At North Edmonton Kia, we take pride in ensuring our customers have the best possible experience when buying a vehicle! With a fantastic and helpful Service & Parts team, we look forward to helping you for a long time to come. We’re happy to welcome you to the North Edmonton Kia family, and we’d like to invite those closest to you to take advantage of the same great service. 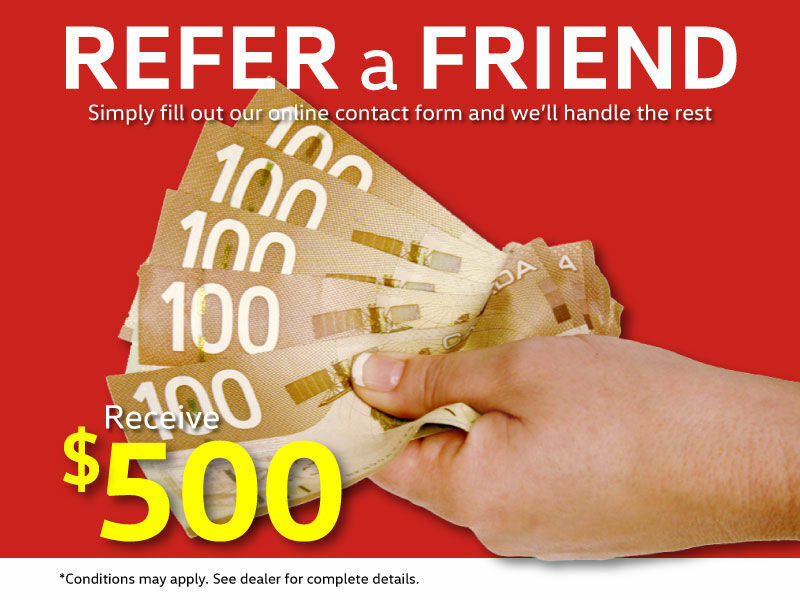 When you refer a friend or family member to North Edmonton Kia and they purchase a new or used vehicle we will pay you $500! To get started, simply fill out the form to the right - we’ll take it from there! You can rest assured we’ll treat your friends and family as members of our family, providing them with great deals on their new or used vehicle as well as fast credit-approval and high-quality customer service. Not only will your friends receive a quality vehicle, great price, and great service, you'll be just as happy as they are! This is just one more reason why it pays to be a part of the North Edmonton Kia family!